We are vibrational beings and therefore music is the universal language, we all connect to sound instantly, and instinctively understand the vibration connection of all things through sound. Did you know planet Earth has its own frequency associated with the repair of DNA, proven to have healing properties for the mind, body and spirit, bringing transformation and miracles into one’s life! Certain frequencies have a healing effect on the body! Positive sound vibration and frequency helps to release fear and negative blockages, boost immune system, have a physical impact on the world around us, literally attract things in our lives based on our feelings and strength of emotions; and promotes emotional hygiene inaction (emotional cleanse). "Music is the mediator between the life of the senses and the life of the spirit"
"Harmony sinks deep into the recesses of the soul and takes its strongest hold there, bringing grace to the body and mind as well. Music is a moral law. It gives a soul to the universe, wings to the mind, flight to the imagination, a charm to sadness, and life to everything. It is the essence of order." 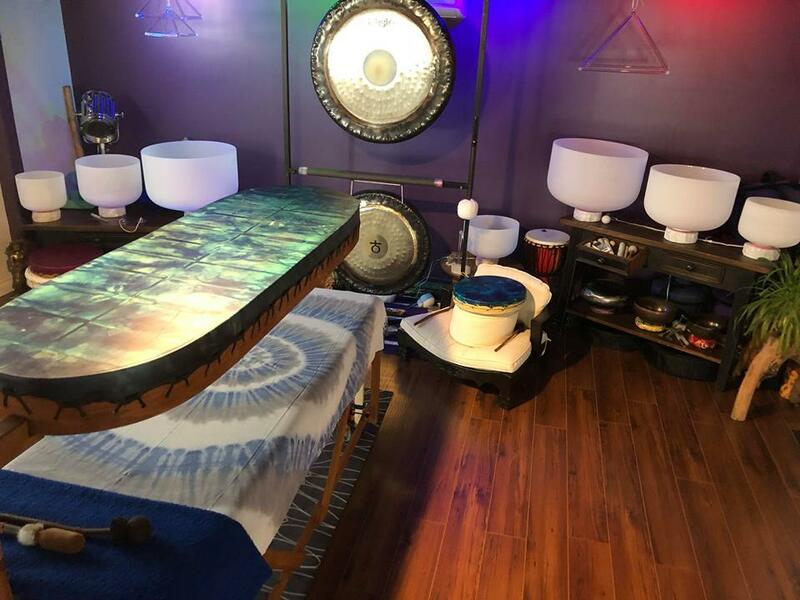 The sweet sounds and vibrations of the crystal singing bowls, Spirit and Unity Drums, Koshi chimes and many other sound healing instruments including our voices, will help guide you into alignment and allow your inner light to shine. Celebrate life with gratitude and create space and open to a healing vibrational experience. The sounds and energy from the bowls, gongs, drums, etc. will elevate you in pure consciousness filled with love and harmony! Zero Gravity chairs are available for your experience. We will have cushions, bolsters and regular chairs available as well. Wellness and relaxation guaranteed. 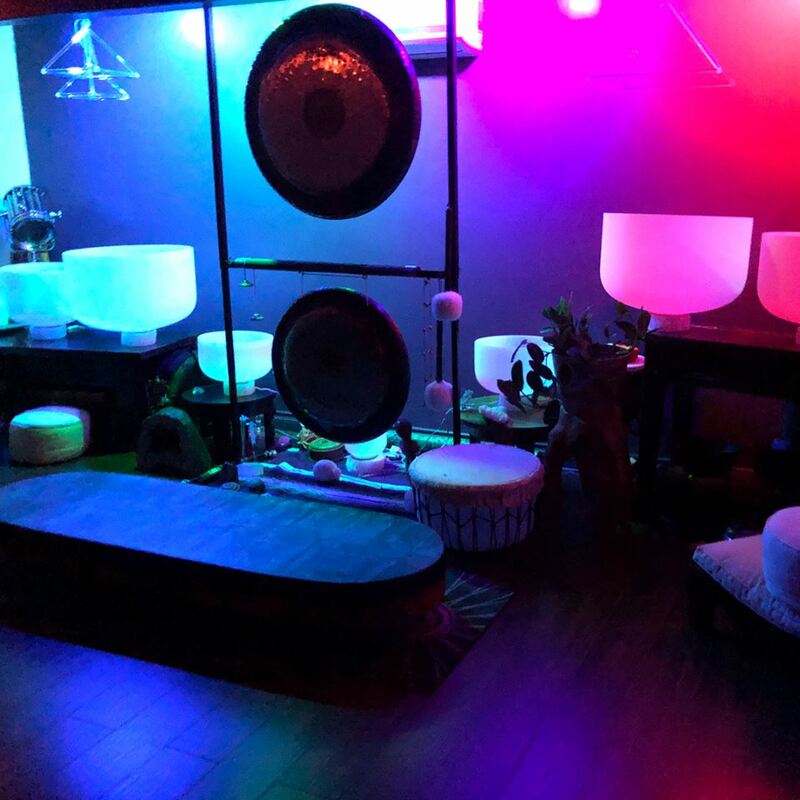 Allow yourself to be guided into a beautiful and meditative sound experience emanating pure vibratory and circular echoes and generate a harmonious and peaceful interior massage supporting the release of stress and emotions, calming the mind and balancing the chakras (subtle energy centres). The sounds will find their way to touch you where you need it the most and transmit what is right with your heart and soul at this moment. Let yourself float in this magical healing vibration and find inner peace. A unique workshop joining a Gentle Yin/Yang Yoga practice with the extraordinary addition of a Live Concert of sound vibrations, enhancing the experience to a HYER level with crystal bowls, pyramids, and harp and adding the sounds of different styles of drums, Tibetan bowls and much more. 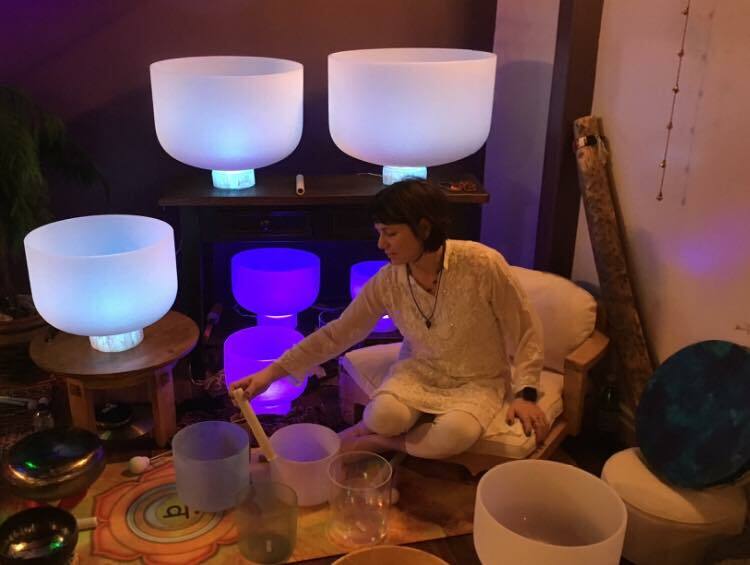 Experience Vibrational Sound Healing for yourself. ​Register for a session today!